The International Livestock Research Institute turns 40–Join us at an ILRI@40 event! 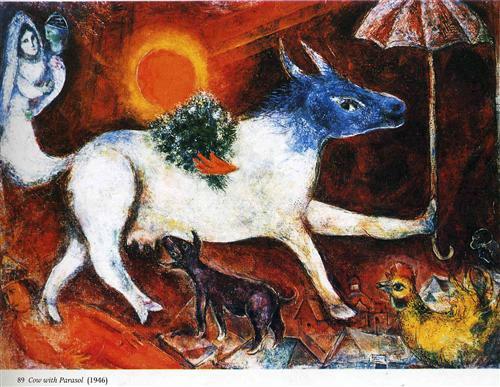 Marc Chagall, Cow with Parasol, 1946 (via Wikipaintings). In 2014, to mark 40 years of its international research, the International Livestock Research Institute (ILRI) is facilitating a series of events that highlight the ways in which livestock research advances the global development agenda, specifically for sustainable food and nutritional security, economic well-being and healthy lives. These events bring together global, regional and local actors in sustainable livestock development, including farmers, the public and private sectors and research and development agencies. We hope to see you at least one of these events and/or in one of our virtual discussion groups. 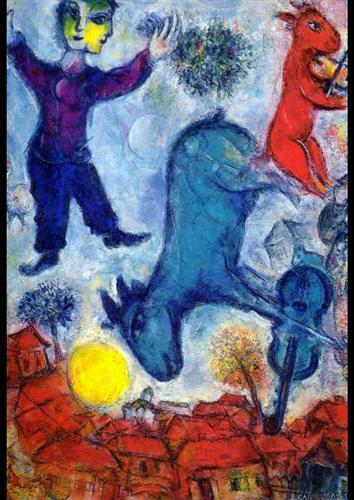 Marc Chagall, Cows over Vitebsk, 1966 (via Wikipaintings). Today’s decision-makers on pro-poor livestock sector development draw on a substantial body of knowledge and evidence generated by international research on more efficient, safe and sustainable uses of livestock. To mark four decades of research by the International Livestock Research Institute (ILRI), its predecessors—the International Laboratory for Research on Animal Diseases (ILRAD) and the International Livestock Centre for Africa (ILCA)—and its partners, ILRI’s board, management and staff this year are highlighting the ways in which livestock research greatly advances the global development agenda, specifically for sustainable food and nutritional security, economic well-being and healthy lives. Join us this year to help mark the past and map the future of livestock research for sustainable food and nutritional security, economic well-being and healthy lives. 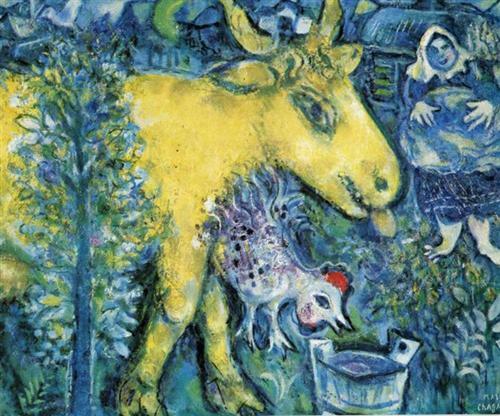 Marc Chagall, The Farmyard, 1962 (via Wikipaintings). 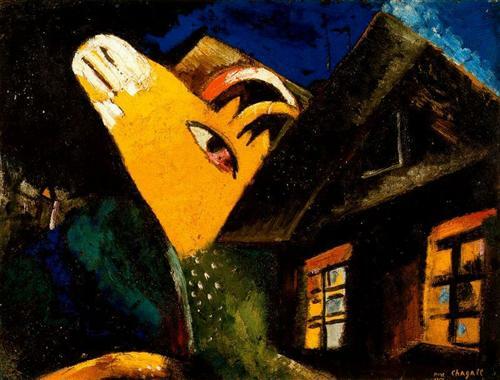 Marc Chagall, The Cowshed, 1917 (via Wikipaintings). To stay up to date with ILRI@40 activities, visit https://40.ilri.org. Want to know more about these events or how you might engage with us? Please send Nadine Sanginga an email (n.n.sanginga [at] cgiar.org) and she will get right back to you. 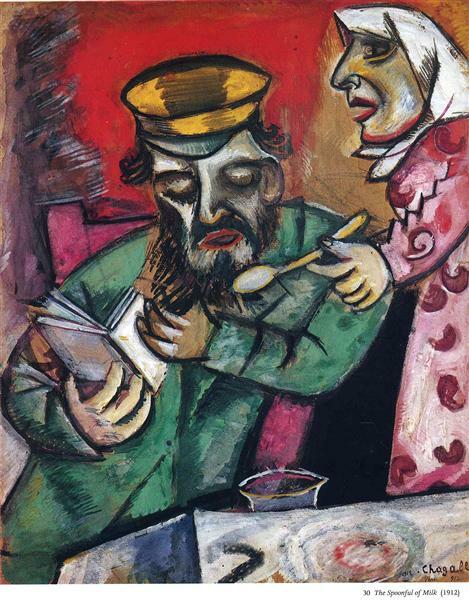 Marc Chagall, The Spoonful of Milk, 1912 (via Wikipaintings). ILRI@40 on Twitter: Follow the hashtag #ILRI40 for news of events, etc. Tags: ilri40. Bookmark the permalink.